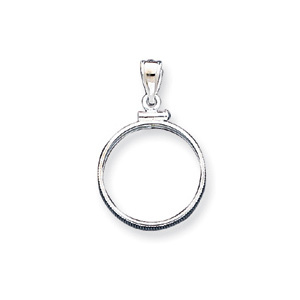 Sterling silver bezel pendant fits nickels. The bezel opens at the top with a small screw. Dimensions: 21.1mm x 2mm. Weight: 1.25 grams.